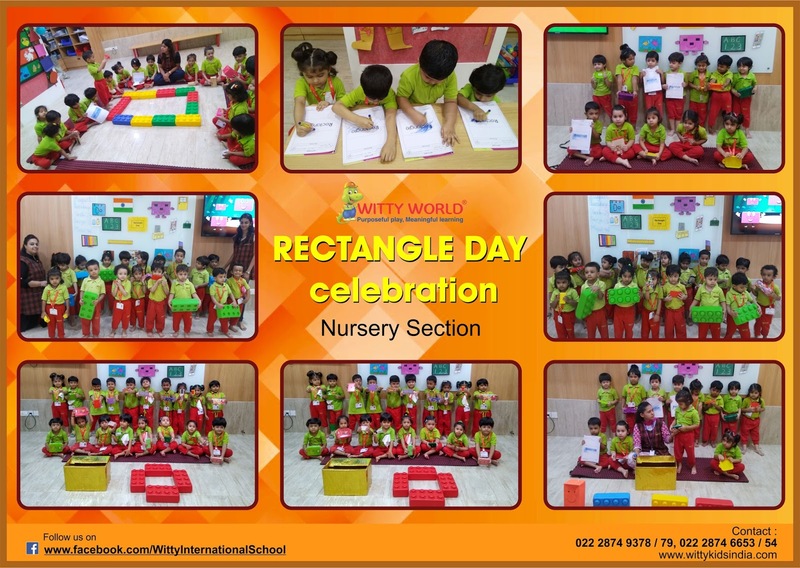 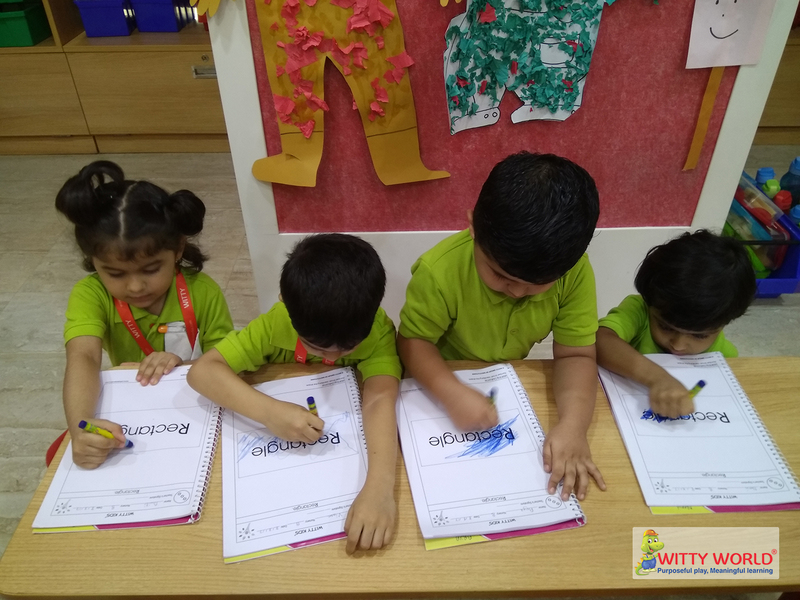 Little Wittians of Nursery enjoyed celebrated Rectangle day on the 8th of August, 2017. 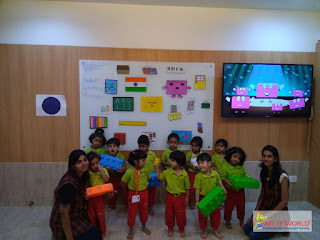 Children were welcomed by ‘Ricky Rectangle’ the puppet. 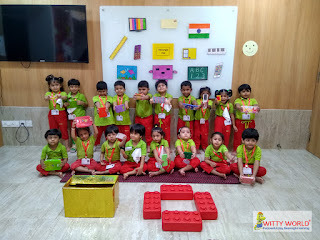 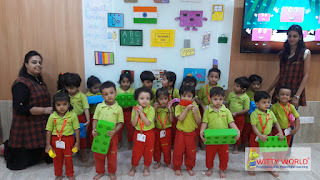 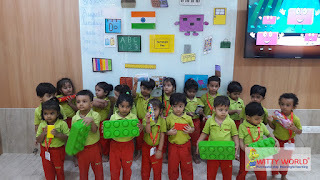 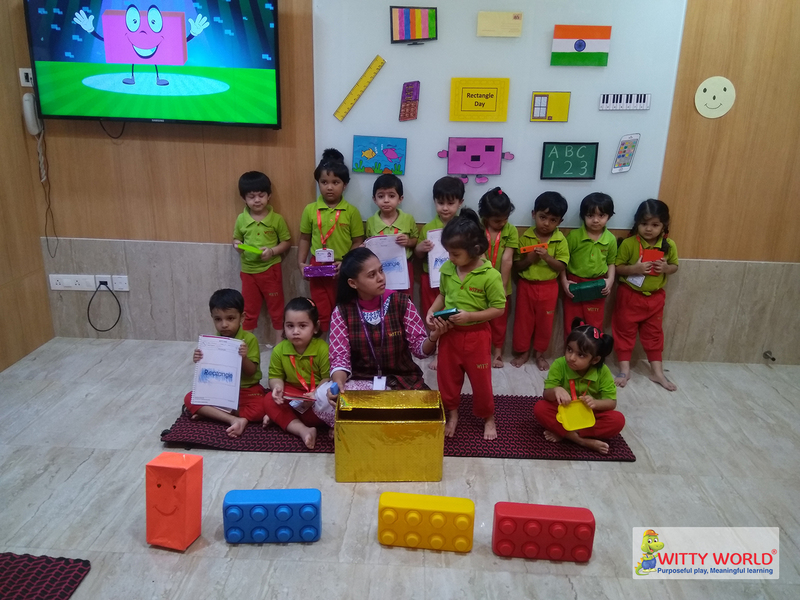 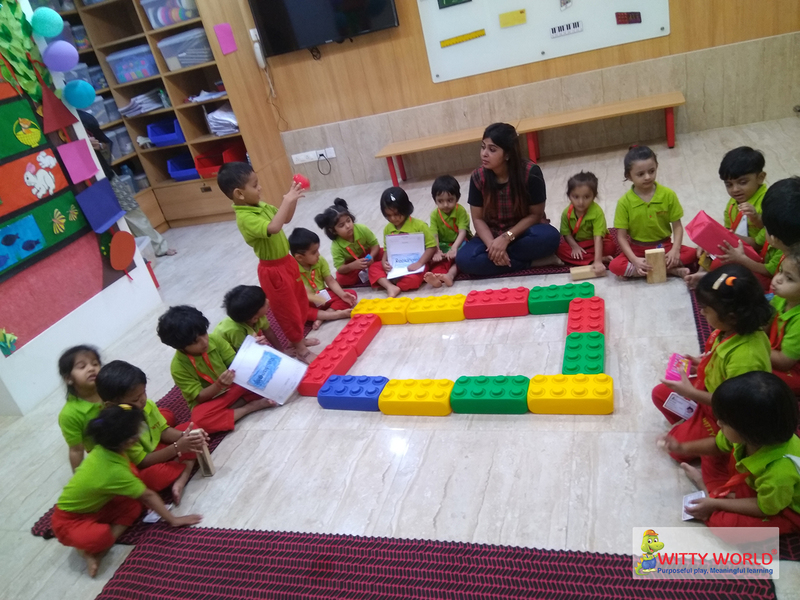 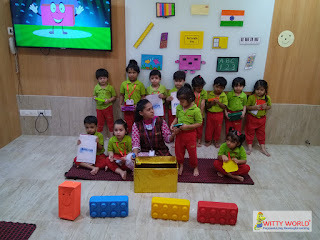 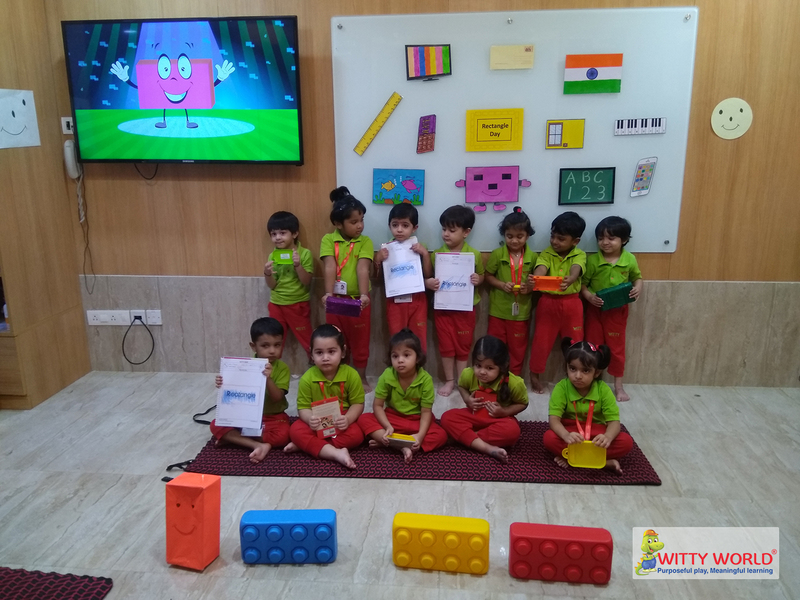 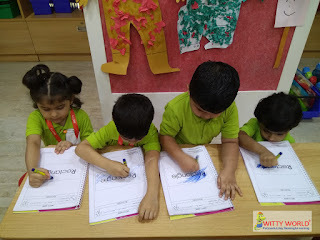 They had fun associating the toys as well as food items in their tiffins to the rectangle shape .The little ones were excited to see their class room decorated with various rectangle shaped objects and colored the rectangle art sheet . 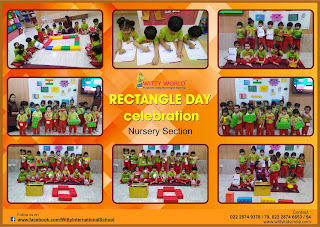 All the activities were designed to reinforce the Rectangle shape.